There has been so much rain recently. I know it’s spring but I don’t think the flowers, grass and trees need this much to drink! Oh Rain please go away! 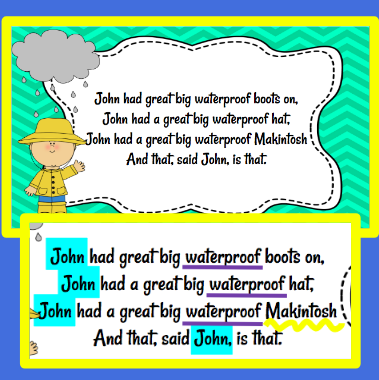 I start this lesson by teaching the poem and adding body percussion to certain words. We then transfer the body percussion to different un-pitched percussion instruments. This is where I leave the poem (for now). Then I use the song Rain Rain. 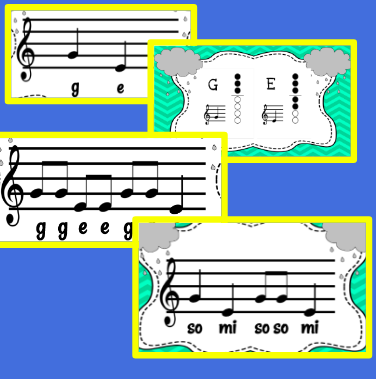 For younger students I teach the song by rote and use this to teach So/Mi. If my students are able they can play the So/Mi melody on the barred instruments or just stick with the steady beat bordun. 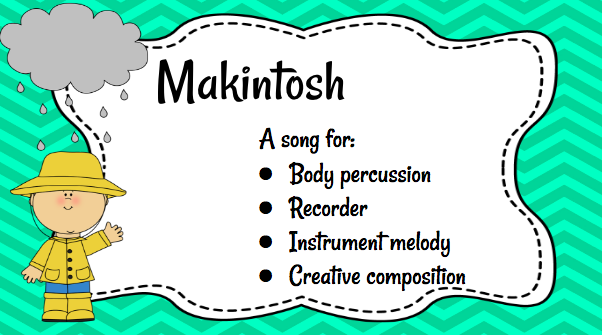 My 4th graders can play this song on the recorder also, great way to introduce low E into their repitoire. Finally I add a 3rd layer to the mix, the Rain Storm. I usually leave this portion of the piece up to my students on how they want to accomplish the desired result. We discuss how a storm might approach, starting out small then gradually getting louder and more intense and then tapering off again. We decide if we are going to use instruments or body sounds. Either way we make some decisions about what is going to be wind, thunder, lightning and rain. Students work with me to compose this part of the piece. Then either I or even a student conductor takes us through the storm.